Foster or have a trial period with the dog. Does the whole family agree to adopting a new dog. All members should be willing and able to accept the responsibility of a new canine companion. Are you ready for the responsibility, guidance and training involved in bringing in a new family member? Some of these dogs have been mistreated or neglected. Are you prepared to deal with, by seeking professional help, or live with, issues that may arise? Do you have the finances to provide a healthy diet, veterinary care, grooming or professional training? If you have children, or planning to have children, do you have the time for the demands of a new dog as well? Flea bath and, if necessary, special bath/oral treatment for mange or ringworm. Worming and flea and tick prevention. 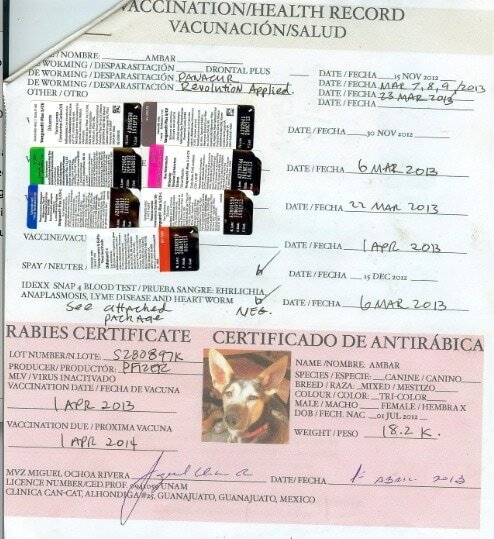 Full series of DAPP +L+C vaccination and Rabies vaccine. IDEXX SNAP 4DX blood test for ehrlichia, anaplasmosis, heart worm and lyme disease. ​WHY ARE ONLY DOGS OVER EIGHT MONTHS OF AGE TRANSPORTED? All rescue organizations and adoption agencies importing dogs into Canada are required by CFIA and CBSA to be registered as commercial importers and therefore only dogs over eight months of age are permitted.